Learning how to pause is the beginning of finding a new path to get unstuck and the practice of going into your feet is a good way to begin. Did you know that a reptile only knows to fight or run away with its tiny, little brain? Under stress, our brain starts acting like a reptile. Spine straight, but not too rigid — you are allowed to be comfortable. Lean forward a little and look down at your feet. Now, don’t over think this — but begin to travel quickly with your mind starting in your head and make its way to your feet. What does it feel like in your feet? Are you more aware of the sensation in your right foot or your left? It doesn’t matter which — just notice. Is one foot more engaging of your attention? If so, picture a hypnotist swinging a pendulum back and forth over your feet. This motion may even out the sensation – or not. It doesn’t matter. You can’t do this a wrong way. Just notice. Do you feel mostly the soles of your feet? The balls of your feet? Again, it doesn’t matter which — just notice. Are you aware of a temperature being warm or cool? Can you feel a tingling in your feet? Can you feel the pulse in either foot? Now from the perspective of being in your feet, look up at your chest and belly. Do you notice a difference there? Maybe a little less tense or breathing more slow or deep? You may not notice anything, and again, that’s perfectly fine. For those people who have a tendency to be anxious or worried, just the initial experience of going into their feet helps relieve the tightness in the core of their body. When we are stressed, anxious, and focused on our worries, we operate within a very limited repertoire of behavior. The inner brain is riveted on survival. 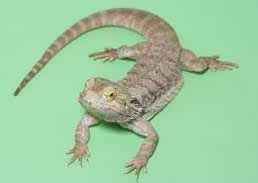 I think of it as acting like a lizard, only my inner brain is open for business and I am blocking my right and left hemispheres – preventing them and my cerebral cortex from fully functioning. It takes practice and intention to operate from our whole brain, especially when we are upset, overwhelmed, pushed. The advantage of having our right and left hemispheres and cerebral cortex in play is huge. It allows for a wide range of responses. We can begin to get unstuck and think of all kinds of responses to what is going on in our lives. Trying something new and different — like going into your feet — is the brain being playful. Try going into your feet several times a day. You might do it right before you have to do a task that you are resisting, or before a very challenging task. Maybe you’ll want to try this exercise before dealing with an upset child or angry co-worker. When you can identify a situation that makes you feel upset or one that tends to make you do the same thing over and over, you can begin to make a plan. Planning ahead of time to do something differently is powerful. Minus the pause, we are likely to do the same dang gone thing we always do, with predictable outcomes. In our mammal brain (whole brain), we can try new things, do the opposite, pause or do nothing until we figure it out. Or we can laugh, make a joke, sing a song, go for a walk — anything other than the automatic limited response. The purpose of going into your feet is to practice calming down your body and your brain, and in doing so, greatly expand your choices of possible actions or inactions. I highly recommend you practice this every day and teach it to others – maybe your kids or co-workers? When you practice on your own, just remember to ask yourself the same questions about your feet and what you notice. See what you notice and check back in for Step Five.